Founded in 2002, TALKING WOOD weaves roots music from Africa and the African Diaspora with innovative artistry and feeling. Led by multi-instrumentalist Keenan Webster, Talking Wood is devoted to sharing the melodic and rhythmic richness of Black music and healing the spirit of the community. The group?s repertoire reflects the exchange of culture between the African Diaspora of the Americas, the Caribbean and our musical roots in Africa. 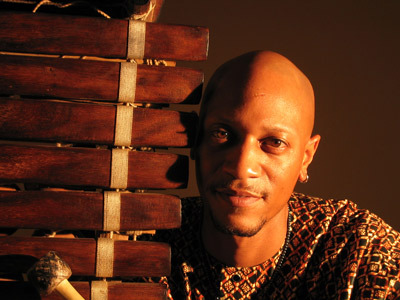 Talking Wood features the balafon (the ancient wooden xylophone of West Africa), supported by various percussion, string and wind instruments. Talking Wood has shared its music with audiences in Sacramento CA, San Francisco Bay Area, Forestville CA, Fresno, CA, Reno NV, Nashville TN, Winston-Salem N.C., Columbus OH, Los Angeles CA. Talking Wood has colloaborated with visual artists, enhancing exhibit receptions such as Defending the Defenders: The Work of Keba Konte and Jazz Sketches: Painting & Prints by Holly Calica in San Francisco.